Cracker Barrel Old Country Store (CBRL) is expected to deliver a year-over-year increase in earnings on higher revenues when it reports results for the quarter ended July 2018. This widely-known consensus outlook gives a good sense of the company’s earnings picture, but how the actual results compare to these estimates is a powerful factor that could impact its near-term stock price. This restaurant operator is expected to post quarterly earnings of $2.66 per share in its upcoming report, which represents a year-over-year change of +19.3%. Revenues are expected to be $820.80 million, up 10.4% from the year-ago quarter. The consensus EPS estimate for the quarter has been revised 1.07% lower over the last 30 days to the current level. This is essentially a reflection of how the covering analysts have collectively reassessed their initial estimates over this period. 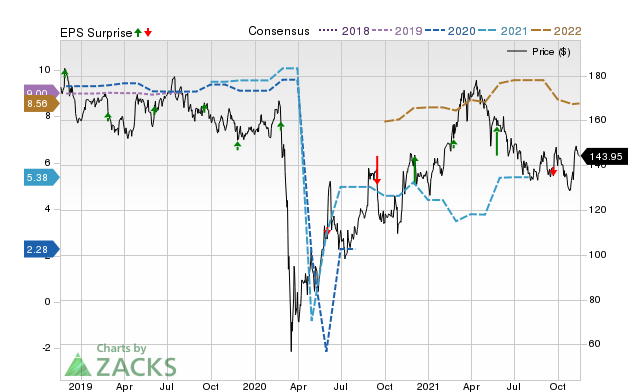 For the last reported quarter, it was expected that Cracker Barrel would post earnings of $1.93 per share when it actually produced earnings of $2.03, delivering a surprise of +5.18%.